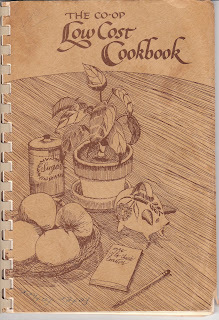 When I married in 1975 I received the first edition (1965) of The Co-op Low Cost Cookbook by the Consumers Cooperative of Berkeley as a shower gift. Here I was introduced to even more diversity in low cost cooking from other cultures. 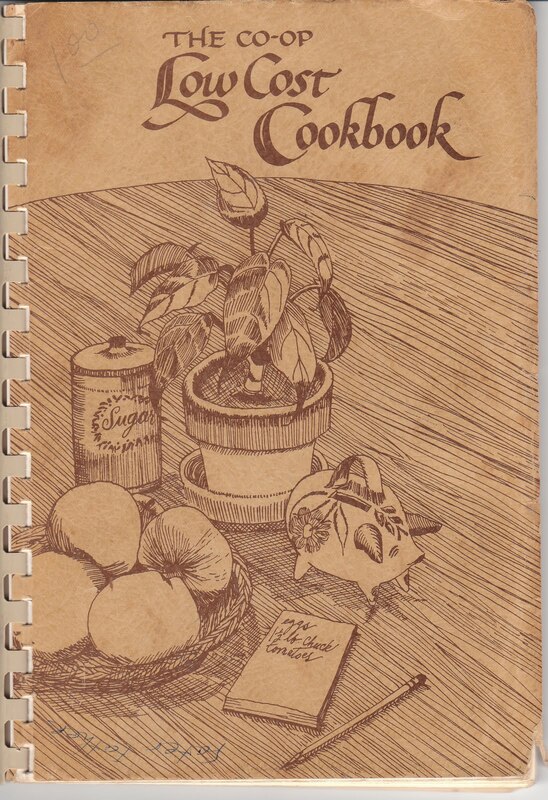 This cookbook along with a few others were my classroom textbooks on how to not only cook, but to do it cheaply. Mix the cottage cheese, 1 c. of the bread crumbs, parsley, salt and 2 beaten eggs; shape into small patties. Next beat the other 2 eggs; roll the patties first in more bread crumbs again. Let them stand 15 min. while you make the sauce. Melt 2 tbsp margarine and saute' the green pepper until tender. Add tomato sauce, mushrooms; heat to serving temperature. Finally put shortening in frying pan; brown patties on one side, turn and brown the other side. Serve with sauce in separate dish.